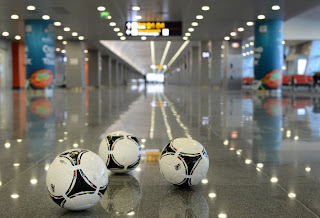 The last major infrastructure facility was finished in the end of May in preparation for Euro 2012 - opened at the Boryspil airport terminal D, which became the largest air terminal complexes in the country. 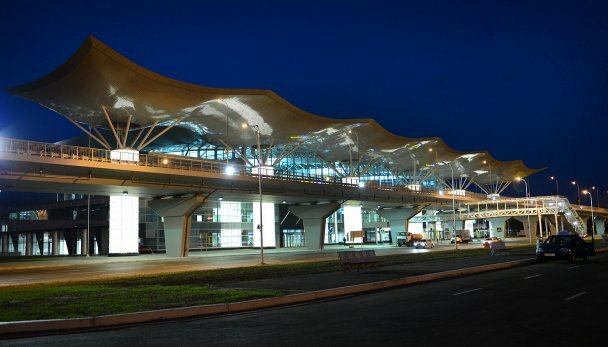 The project cost 4.8 billion UAH, including foreign investments. Terminal D can handle up to 15 million passengers a year. Its area is 107,000 square meters. In the area of origin of a new airport terminal - 61 receptions, 18-point control of aviation security, 28 passport control offices. Baggage handling system in the new terminal provides five levels of security controls. The capacity of the baggage handling system - more than three thousand units per hour. The first charter flights to arrive in the new terminal in early June. Airlines need 60 days to translate the technical flights to the new object. 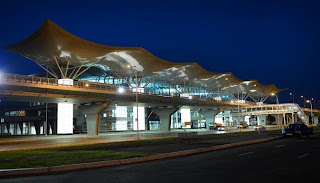 Therefore, large companies will start to fly from this terminal from the 1st of August.